The students of class I &II of K.R. 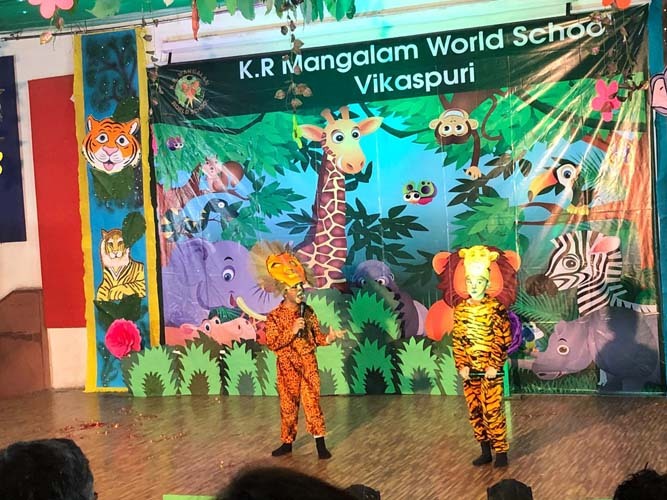 Mangalam World School, Vikaspuri put forth the Annual Presentation – ‘The Lion King: The Tale of a Brave Heart’, on 16 March 2019 with great enthusiasm. 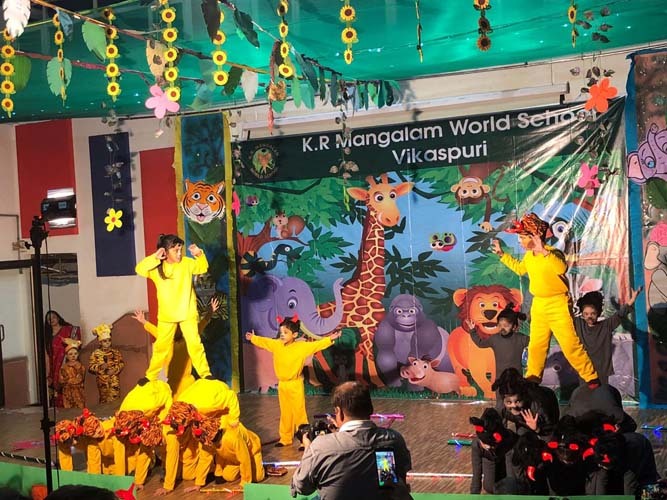 The chief guest Lt. Gen. J. S. Bajwa, graced the occasion with his presence.The programme started with the welcome of the chief guest in five different languages, after which the honourable guest enlightened the students and parents with his encouraging words. 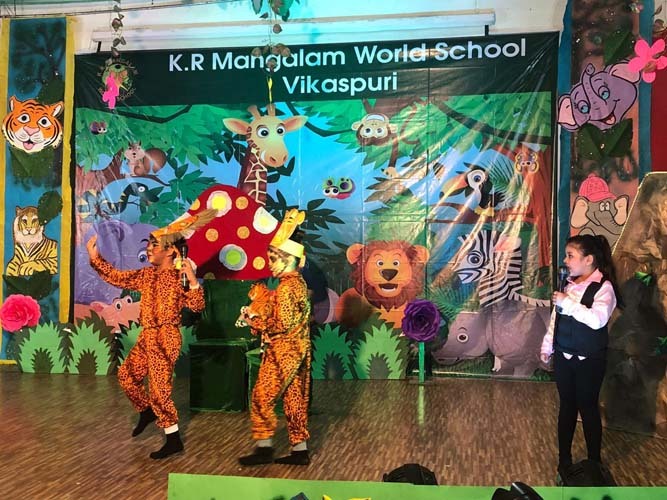 The Principal, Ms. Priya Arora,addressed the gathering and extended her felicitations to all students, parents and teachers. A symphony was created by the little musicians of K.R.M orchestra, which was followed by the welcome dance. 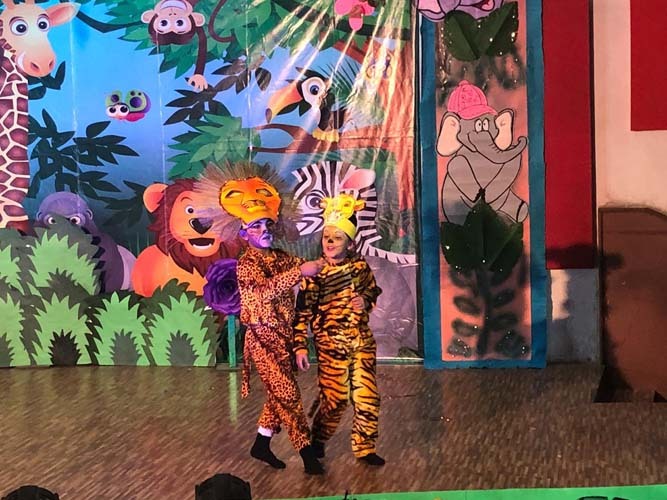 The students of class II enthralled the audience with their presentation ‘The Lion King’. 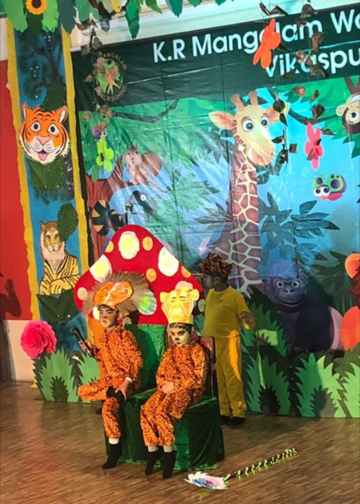 Through the presentation, the students brought to fore the importance of relationships and the different emotions that colour our life. It was a day filled with excitement and enthusiasm which brought a smile on the faces of each one present.